We are all spirit beings on an earth bound mission encased in a human body. The human body is a well designed machine housing many aspects of our lives, spirit, mind, body. A healthy body can be the foundation for pleasure, function, peace, fun, enjoyment and fulfillment if taken care of in a way that promotes its youthfulness, flexibility, synergy and flow. Our body’s need solid foods and liquid nourishment to feed the cells, tissues, organs and provide energy to the muscles, bones and brain. One of the most essential and much over looked forms of liquid required for holistic health is water. Water that is clean and alkaline provides an energizing fluid hydrant most necessary for the inner workings of the body. 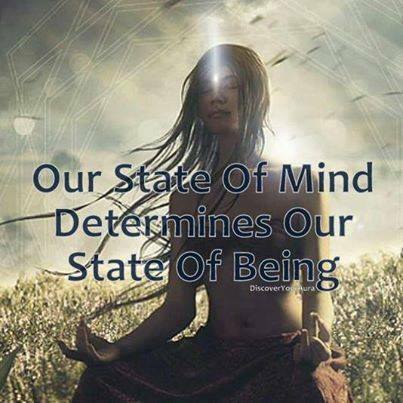 Everything in the body is energy and movement – vibratory frequency. The bloodstream, organs, brain, muscles, heart, stomach, in fact, the entire body requires fluid to function and work properly together. Water is a conductor which facilitates movement in the body through the cells, tissues, vessels, organs, and all matter in the body. 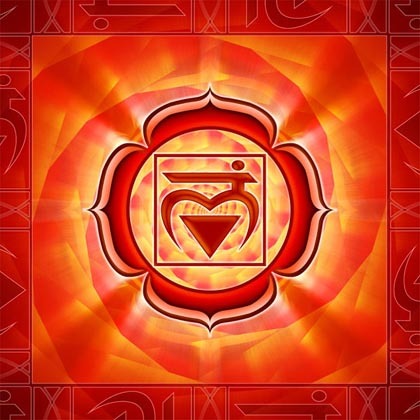 It energizes the inner environment that is constantly required to vibrate and flow. Water is vital for our hearts to lovingly pump the blood that is transported through out the body to brain. Water is critical for the blood to be liquified in the right proportions to be able to flow without stagnation and for the heart to pump without intermittent timing, palpitations or even failure. Water is a conduit for God’s vibrational frequency & energy to be transmitted to our spirits and for our spirits to send and receive the connection to the Source, God, Creator. Water, too, has a spiritual nature and thus has memory. Water can take form as liquid, solid (ice/frozen state) and vapor (steam/fog). Without water, nothing on this planet would survive. Without water everything including our bodies would be dried up, dehydrated, lifeless and useless. It is the God consciousness in water that is the prime memory that is most suitable to soothe, energize, moisturize, cleanse and maintain the body to function, give and receive from spirit. Even when we take in and absorb food, we are extracting the spiritual nutrients with which to fortify our whole selves. That extraction requires a measure of fluidity. The body can utilize the nutrient water from vegetables and fruits which would be considered a form of liquifying the body and that is good and necessary, however no liquid should nor can, take the place of good clean tepid, room temperature water on a daily basis in intervals throughout one’s day. Pure clean tepid water is absorbed without shocking or stressing the system or the heart, digestive tract, brain and other vital organs. For those that prefer cold water, cool is exceptionally more suitable to the inner workings of the body than icy cold. Adequate hydration supports all internal functions and cleanses the body of dense waste matter, toxins and phlegm. Digestion and bowel function require adequate water hydration to optimally function. Our eyes are a prime example of the need for molecular hydration because our eyes are partially embedded within our body and partially exposed to the outside environment. In order to move and rotate without pressure and stiffness the eyes must be maintained in a certain amount of fluid which is nourished by adequate intakes of water. The skin is the largest organ of the body and requires water from inside and out. Flawless supple skin is maintained by adequate intakes of water and bathing. Often wrinkled skin is housing a dehydrated body and may smooth out substantially with adequate hydration and moisture. Water also cleanses the skin which allows the pores to breathe and create an effective barrier to stave off ordinary germs. Our hair and scalp needs water. Course and coily textured hair is often dry and revels from regular wetting, misting and moisturizing (just like a dry house plant that revives when watered). Hands and feet appreciate a good soak in nice warm water. Applying certain essential oils to the soaking water will also assist in detoxifying and drawing out toxins from the body. Spirit, mind and soul tremendously benefit from internal intake of water and water bathing, prayer and oils. Whenever the body’s immune system is compromised or cold, flu, allergies, disease and toxicity is imminent, water is essential to flush and rinse out and neutralize. The water purifies and regenerates. Colonic hydrotherapy is very useful for cleansing, refreshing and anti-aging as it breaks up and rinses out accumulations and waste matter in the colon. 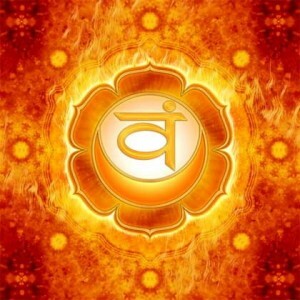 This method of internal cleansing has been used by many Yogis and health enthusiasts worldwide and the method instructed to the ancients is referenced in ‘The Essene Gospel of Peace” by Edmond Bordeaux Szekely. Water has been called the river of life and rightly so because without it life would cease to exist. We can go without food for a good number of days but not water. The efficacy and purification of water has become a controversial subject around the globe, because some water due to the detriment of man’s behavior and/or even climactic changes render some water unsafe or impure or too acidic to be beneficial to the health of humans, Mother Earth and all forms of life. In future offerings we will write and present views on various types of water suitable for consumption (bottled, filtered, spring, deionized, purified, mineral, tap, pond, well, structured, alkaline, and we will discuss water storage (plastic vs. glass). There is an African proverb spoken by the traditional Ifa Yoruba Prophet Orunmila who said, ‘Water has no enemy’ which was immortalized in a song by the late Fela Ransom Anikupolo Kuti, ‘Water No Enemy Get’, which means that all life force needs elemental water. Water is used for pouring libations and for spiritual purification bathing. The Japanese author Dr. Masaru Emoto wrote many books about the memory and spirituality of water including, ‘The Secret Life of Water’, ‘The Message From the Water’ and others. He brought to the forefront in his writings the knowledge that “human consciousness has an effect on the molecular structure of water” and that “water takes on the resonance of the energy which is directed at it” and that “polluted water can be restored through prayer and positive visualization”. The Iranian physician Dr. Fereydoon Batmanghelidj presented the book ‘Your Body’s Many Cries For Water’ in which he suggests drinking 2 quarts of water every day and 1/2 teaspoon of salt which balances the inner water balance. He also maintains that regular water consumption can eradicate toxins and diseases from the body. The 34th Divine law or commandment in the 42 Principles of the ancient Egyptian Khemetic Goddess Ma’at, was proclaimed daily by devout followers stating, “I will not waste water” and another translation of the 34th and 35th Divine Laws of Ma’at state “Thou shalt not waste the running water” and “Thou shalt not pollute the water or the land”. The Indian holy scriptures of the Bhagavad-Gita state “One may cleanse himself daily by taking a bath in water but if one takes a bath even once in the sacred Ganges water of Bhagavad-Gita, for him the dirt of material life is altogether vanquished.” Often a special cistern or vase of water is kept inside the home in a sacred space. The Holy Koran says “We have created every living thing from water”. The native American Cherokees consider any body of flowing water such as a stream, river, creek or tributary to be sacred. Many purification sacred rites were conducted in pristine moving bodies of water. To the Buddhist’s water represents purity. Many cultures all over the world revere the sacredness of water and keep an open vessel, vase, glass or container of water near the head of their bed when they sleep at night to absorb and cast off negative energies. Why can “we” see “our” reflection in a body of water? As it is said in the Bible, English Standard Version, Genesis 1:2 “The spirit of God was hovering over the face of the waters. Many traditions and cultures world wide appreciate and understand the spiritual significance of water on many levels and in many dimensions. It is said that whomever offers water to another offers life. even to his or her own self. When you drink water you are offering life to yourself. And now a days there is an app for your phone called Daily Water. You set the number of times per day it should pop up and remind you to drink water. Soon it will become habit. Drink some good clean water. Give yourself the gift of life now. 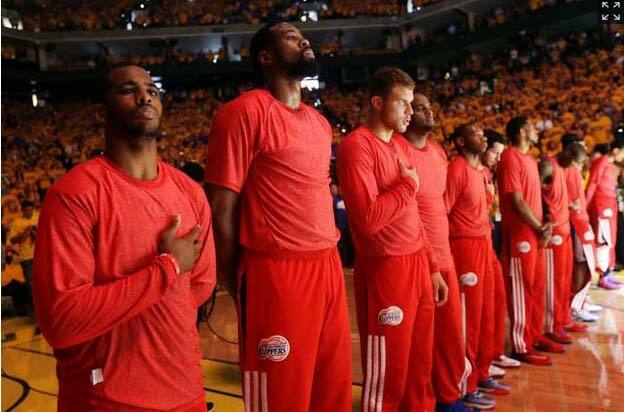 Is LA Clippers’ Owner, Donald Sterling, a Racist? TMZ reported on a socially and morally damning conversation, allegedly held between NBA basketball owner, Donald Sterling, and his alleged, now ex-girlfriend, V. Stiviano.1 Sterling’s purported comments may have single-handedly taken us back two or three millennia without the courtesy of a Silver DeLorean and white-haired guy named Doc. When we look at our phones, tablets, watches and calendars we may see the year 2014; however, the energy present over the NBA right now is reflective of a time more akin to 18th and 19th century America, when chattel slavery was alive and well, rather than the more liberal mindset of the 21st century. The alleged attitude of LA Clippers’ owner, Donald Sterling, bears the sentient fruit of generational programming, born of a society of separatist and elitist mentalities, rooted in racial and national prejudice. In a silent protest, Clipper’s players turned their warmup shirts inside out (Click here to Watch Video). It has been reported on various Media Outlets, News Channels, etc., that Sterling allegedly became agitated with Stiviano after hearing that she posted pictures of herself posing with NBA Hall of Famer, Magic Johnson. Those pictures have since been removed from Instagram. Nevertheless, the tensions continued to brew between them… so much so, that Miss V, found it necessary to fight back. During the showdown, she was the quickest on the draw. V pulled out the big guns and recorded their conversation, where she emotionally triggered him, repeatedly, provoking him to speak passionately and openly, in order to expose the secrets of his heart and mind to the world. But why? This is obviously not the first time that she has been privy to this type of conversation with Sterling and she knew that she could benefit from the damaging things that he says. When you consider who he is and what he has at stake there is a quite a bit on the table to be compromised, lost and damaged. TMZ reported that Stiviano has more than 100 hours of audio on Sterling and reports that he has come right out and asked, “How can we make this go away?” Was all of this a calculated ploy to get money from Sterling and to keep her hand in his purse? Probably! However, that does not change the fact that Sterling is responsible for his own actions and there would be nothing to control him with if there was nothing incriminating smoldering beneath the smoke. Is this is a case of the chickens coming home to roost? At this point, Rochelle Sterling, Wife of Donald Sterling, has openly stated that she is disgusted by her estranged husbands comments, referring to the audio that was released, which at minimum confirms that it is indeed Donald Sterling’s voice. Rochelle and Donald have been married for more than 50 years. I find her to be the most credible in recognizing Sterling’s voice. 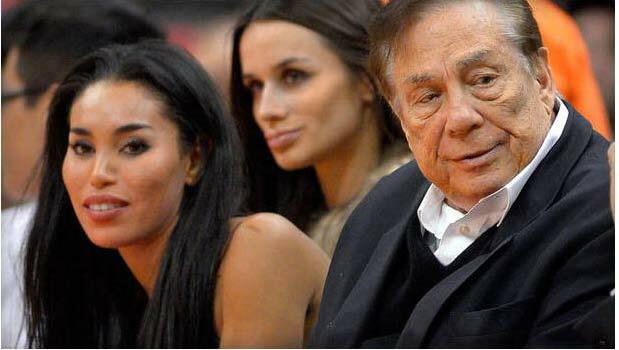 Mr. Sterling is no stranger to discrimination allegations. He has been in court numerous times since 2003 for discriminatory behaviors specific to his real estate practices and actions as a NBA team owner. According to CNN, “The Nonprofit Housing Rights Center and a group of tenants who lived in Sterling’s properties filed a federal lawsuit in 2003 against Sterling, accusing him of ‘numerous discriminatory statements and housing practices,’ according to court documents.” This case was dismissed after reaching a settlement, where the judge ordered Sterling to pay almost $5 million in plaintiff attorney’s fees, other details of the settlement are undisclosed.2 Deadspin,3 referenced at the end of this article, has posted quoted information on the depositions from the 2003 case, acquired by ESPN The Magazine’s, Peter Keating.4 In 2006, Sterling settled yet again, for nearly $3mil in response to claims made against him by the Department of Justice for refusing to lease his Beverly Hills properties to African-Americans, Non-Koreans in Koreatown, Los Angeles and to families with children.2 As if that is not enough smoke within a 6-year span to alarm us of a real fire, LA Clippers former executive vice president and general manager (1986 to 2008), Elgin Baylor, also alleged discrimination in a 2009 lawsuit against Donald Sterling. Baylor claimed that he was underpaid and that Sterling treated him “as a token because of his race.”2 Some of you are probably asking the same question that I did, “If that is true, why did you stay for 22 years?” Was Baylor selling out? Baylor also contended that Sterling wanted a ‘Southern Plantation type structure for the team with poor black boys from the south and a white head coach. (Fused quotations)2 By evidence of his own behavior, Baylor, had no intention of leaving the Clipper’s organization and the only reason these alleged truths came out when they did is because Baylor wanted to defend what he purportedly believed to be a wrongful termination. Despite when this information came to the table, and despite whether or not Baylor won his case, his claims may very well be true, proven or unproven. But what escapes me is this: How is it possible that an African-American executive vice president/general manager, could and would, knowingly stay with an organization, an owner, who held such a racist visage? Was Baylor content being the HNIC until he was axed (pardon the adage)? What other reasons would he have to stay if his claims are true? Is it possible that Baylor, who is just a little shy of 5 months younger than Sterling himself, mirrors the thinking of man with same cultural afflictions, brought on by generational influences and scores of socioeconomic and sociopolitical changes through the years that is an inevitable byproduct of a not-so-distant antebellum south? I point this out to help each of us to soberly examine the role that we may be playing in this type of madness, on some level, but perhaps are remiss to it and the damage that it is wrecking. All of us have a story. No, one person, is a villain alone, they have help in becoming that. Therefore, let us recognize that any behaviors that we participate in that honors separation and bias against another human being, publicly or privately, regardless of how small, gives life to the collective agreement for this distortion. Examine the audio for yourself . What do you hear? Do you find Sterling’s (alleged) comments racist? We do not need to suppress the symptoms so that we can rest! It is not a time to sleep on the issues. We need to realize that this fever we are experiencing is therapeutic and the temperature of our culture is rising to heal the bacterial and viral elements of this unhealthy state of being. We must address this very primitive thinking that, like a cancer, seeks to destroy its host. This shadow aspect of the self does not understand that when it wins, it loses, just like cancer! As you can hear, the audio is very revealing. Unfortunately, this is an issue that is very old and spans many cultures and ages. It is going to take more than one conversation, article or book to dissolve the surmounting issues of non-acceptance, intolerance, racism, etc. I wish the situation were as black and white as it appears (no pun intended), but the truth of the matter is this is a deeply complex psychological virus that has rooted itself in the very root directory of our human physiology. It is so deeply integrated into who we are at a fundamental level, it doesn’t seem far-reaching to think it may be coded into our BIOS Utility. I do not say this facetiously, but from a perspective of staunch resolve. Donald Sterling’s alleged comments, “it’s been that way historically,” refers to his observations of the judgments that we as a human family hold against one another based on our tribal differences and he believes those observations justifies his frame of thinking.1 Sterling lives in a subculture dominated by manipulation and control; a system of reward and punishment; above average perks for being a good player; for accepting their place as a pawn in the strategy of a larger plan. People who essentially trade their soul because of fear, security, money, etc., have a difficult time seeing pass what they are choosing because they, themselves are slaves. This is what they know and it is who they are. When they reach a certain point, neural pathways have been created, and there is a chemical script running as a program in the background. It would take some real effort to override those programs and too many are afraid to think for themselves; for them the stakes may just be too high! The mentality of much of White America during the periods of slavery and for some, thereafter, have always been disparate. Not all Whites hated African-Americans. Some, were simply afraid to admit their association with or lack of hatred for, African-Americans because they did not want to bring any danger, exile or suffer any other type of ramifications against themselves, their friends or their families. This was a very real factor for them. The hatred was so deep that certain groups of whites would do unconscionable things to other whites, simply for fraternizing with or showing any level of compassion towards blacks, and such mentalities still exist today. All of this is certainly an outrage and overtly cowardly, and while I do realize that communities are deeply triggered (not just Blacks), but we must not let our emotions run the show. This subject has always been devastatingly hard to face, as it digs at the deepest aspects of our vulnerabilities and challenges our emotional intelligence. However, we must stay centered. It is a new day. A new earth is anchoring and inviting us all to perceive beyond the veil and to identify the true elements of this vial pathology that continues to infect the hearts and minds of our people. Many white and Non-Whites alike, do not believe that they are racist because they do not have anything against a particular group, per se. They are, however, in bed with or somehow connected with people who are, and unfortunately, are not willing to take a stand that personally puts them at a disadvantage with the counterparts they believe “define” who they are in society. Let me be clear, “I am not, in any way, shape, form or stretch of the imagination, defending these behaviors nor am I denigrating the very real impact that such behaviors have on our society or any particular peoples, individually or as a group.” However, it is my role to stay objective and to identify, as best I can, truth, unclouded by or conflated with emotional fogs. And if we are going to call a thing a thing, as our sister Iyanla Vanzant says, we must be willing to tell the hard truths, despite how uncomfortable that may be. If we are really honest with ourselves, we can admit that we are not judgment free on this issue. Many of us have had our own personal challenges with healing the behaviors of such infected thinking; behaviors that we, ourselves, are not proud of. This disease has taken its toll on many, to greater and lesser degrees; yet, the fight remains. The truth is, there are levels of racism and some levels are far more egregious than others, but ALL must be healed. The measure of imbalance is a determinate of the degree of threat that will impact our personal growth and evolution of society at large. We want to walk around saying it’s 2014, as if reminding ourselves of the year is somehow going to instantly catapult us, like a portal out of a Marvel story, into a paradigm of spiritual awakening and maturity. We think to ourselves, “it’s all good” and to some degree it is, but we are still responsible for being mindful of the real dangers of the hatred that is amongst us. We must do the work! We must each take responsibility for our part is this still, very real, illness. Energy flows where attention goes! Like ripples in a pond, our behavior and thinking effects not only our immediate environment, but reaches distances beyond our imagination. When we recognize the evidence of distortions within ourselves, let us choose to “Pause,” then choose actions that are more responsible, more healthy and more loving. May mercy be upon us as a people. Tomorrow, we will reveal deeper insights about the conversation that has the world stewing and what it is all really about. You might be shocked at what you hear. Stay tuned to learn more, as the insights unfold! The nursery rhyme “Rock-A-Bye Baby” has a history that purportedly dates back to the 1600s. There are several different theories as to when the rhyme was written. However, it has been a very popular lullaby for hundreds of years, passed down from generation to generation. There is also a second stanza that was supposedly added at some point that was undoubtedly written by someone other than the original author because the energy imprints from the first and second are as different as night and day. I have not included it here, as it is not relative, in my opinion. The focus of this post is not about when Rock-A-Bye Baby was written or by whom. It is about the intention of the author. What does this nursery rhyme mean? In recent history it’s popularity has declined significantly. Why? Well, we have entered an age where tradition isn’t taken, simply at face value, and passed on as good anymore. People have started to question whether certain traditions are still valuable in the current day, including old time nursery rhymes, and whether or not they want to pass them on to their children. Some who have considered the rhyme and its wording have even said that its words are brutal and unloving, and questions why anyone would sing such a thing to their little ones. Again, there are several variations of this, but this is the one that I grew up with. When I connected with this nursery rhyme, I was drawn into an era in time where people attempted to put life’s complex lessons in short story forms, often times with a tune, like a nursery rhyme, to share its wisdom. The tune itself was purposeful in a way that was akin to putting medicine in food. It helped to soften the blow of the bitter taste (Truth). Hence, most people were oblivious to the words and found themselves more resonant with the melody. It feels like a warning lullaby; one that mother’s sang sweetly to their children to impress a deeper sense of knowing upon the subconscious of the child to prepare them for the world they would soon face. When the wind blows: When life happens; when the elements of life’s possibilities present, you will be challenged. ( The natural elements of life petitions us to change and threatens our false sense of security. This is a bittersweet reality. It is generally uncomfortable, but also necessary to grow and learn). The cradle will rock: When we are cradled and in a state of grace we are presumed protected. Whilst this is true, it doesn’t mean that you will not be challenged. Therefore, never become so comfortable that you forget to examine what is before you and around you. Stay true to yourself and the path. Be mindful that even in high places we can become vulnerable to the nature of energies around us and our sense of security threatened. In the rocking (the ebbs & flows of life) we can become distracted by the hustle and bustle of the world and find ourselves mind numbingly comforted or complacent. We can fall asleep (mentally). What feels good and soothing is not always what is best for us. 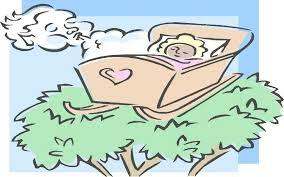 Remember, the rocking of the cradle is purposeful, but anything in excess brings danger. When the bough breaks: The bough of the tree (branch) is symbolic to the tree of life and represents the physical (the natural world) and spiritual (the phenomenal world) and all its associative laws and elements. The breaking of the bough or the breaking of its relative laws is evidence that there is an imbalance. Our actions or lack thereof can weigh heavily on the boughs our life and weaken the grace (support of the bough) we once experienced. The cradle will fall: When the bough (law or energy) that was supporting your experience is no longer available (has broken) and the grace (cradle) that was protecting you is now reduced, you will have entered a lesser realm of expression. And down will come baby, bough, cradle and All: This line reemphasizes its overall warning to the little soul and the impact of the boomerang effect. How we respond to what is perceived as normal (natural world) life happenings impacts the way that the unseen (phenomenal world) responds to our choices. We must always be aware of our state of mind and being and considerate of what we have accepted as truth because every choice comes with burden or reward. What’s Happening in Kauai, Hi? Are You on the island of Kauai? Do You like Dancing and Live Music? A Dress-to-Impress Event is happening February 3, 2012. 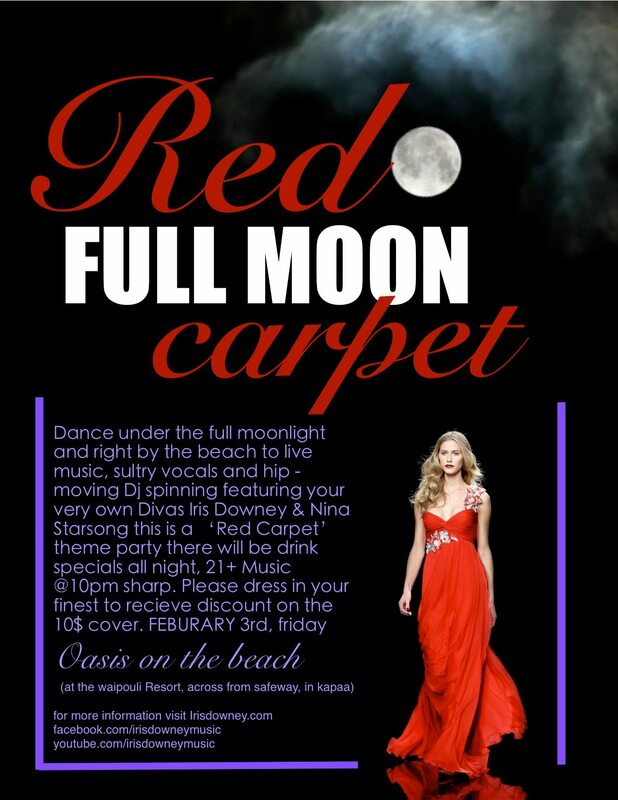 Full Moon, Red Carpet shindig Aloha Style! !